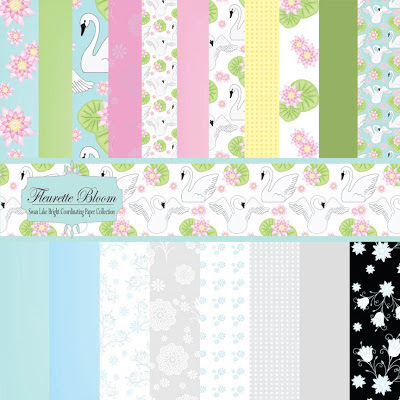 I just love the beautiful album KimverlyRae created with the Fleurette Bloom "Swan Lake" Collection!! This would make a perfect gift! Imagine how fun it would be to show your photos in this! I made a baby congrats card and thought why not make a mini? Well, one thing lead to another and here’s what I came up with! Ok, so it’s for a baby’s birthday, a shower gift perhaps! You don’t even know how Many babies are on their way, in my family! Lots! A new crop every year! LOL Got the same thing going on in Your Fam well here’s a quick solution…Ok, back to shop-talk! 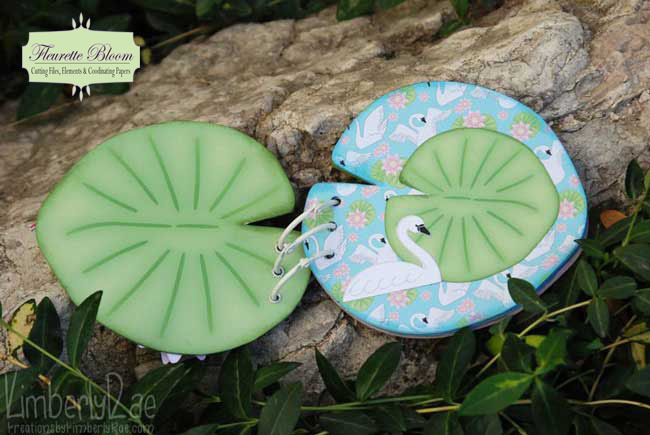 Yes, that’s an OOB [out of bounds] swan flying out off the lily pad or she’s emerging from the lily pad! lol However, you want to look at it- her Wings are free flying! OOB used to be like breathing to me, creating a lot of my Digi Layouts so I thought I’d try it with me some Fleurette Bloom’s Digi Paper and Elements! I also blinged it up with some DoodleBug Design’s mini jewels and some Trendy Twine. 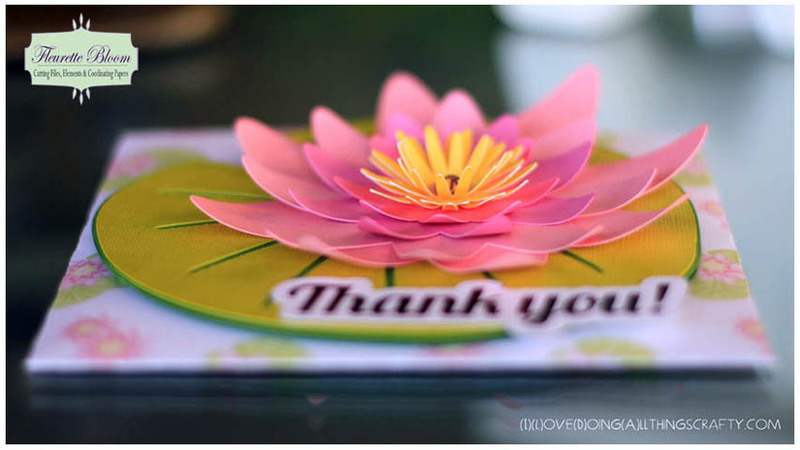 Ohhhh…how Fun Silhouette makes this with their Brilliant Print & Cut feature. I love it! As you can see I couldn’t help myself and made Five pages all held together by American Crafts white rings. All the bright and happy papers are perfect to go with the elegant elements in this kit, ‘Swan Lake’! 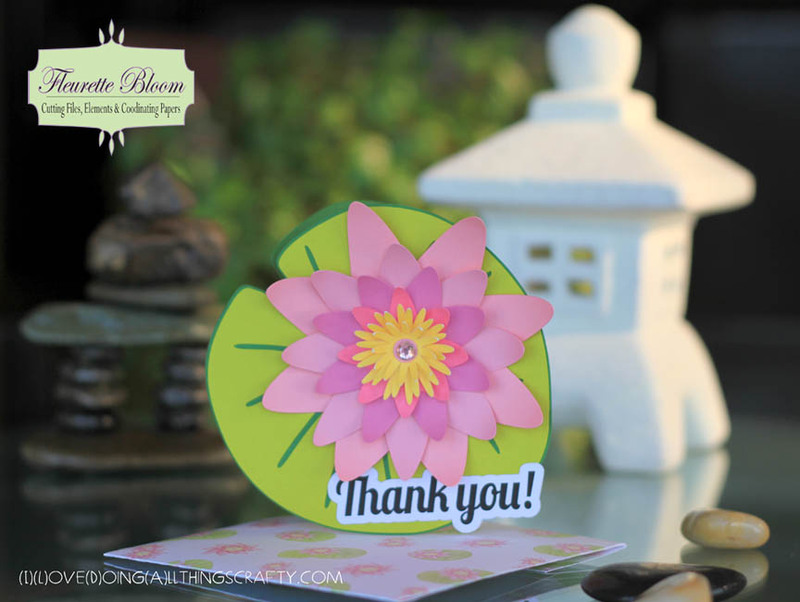 Within this Collection you will get everything you need to make these two cards and mini’s like mine above! Just Look at everything you will get! 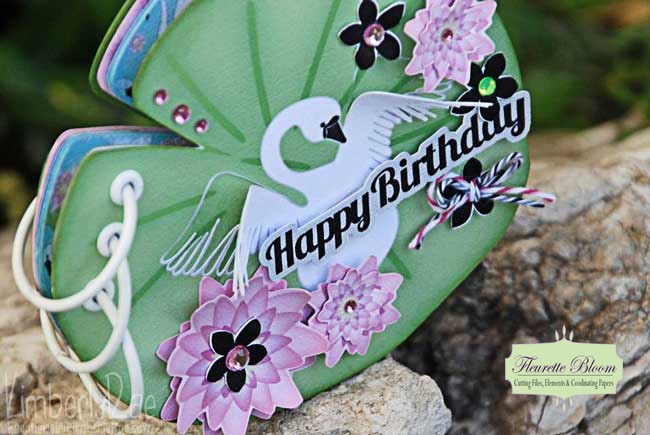 Swan Lake Triple Pop-up Card - So pretty for Birthdays, Thank you cards, Weddings, etc. 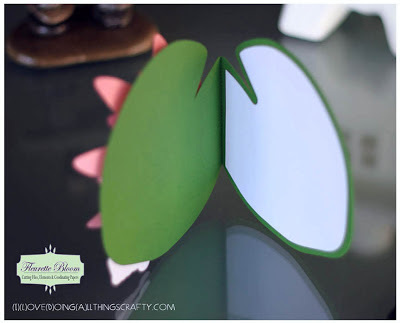 Also makes a really great place setting, use the included name plate with the card shape file! So many possibilities! Oh! And look at this Swan Spin Card and Each file is packed along with easy to follow PDF instructions! 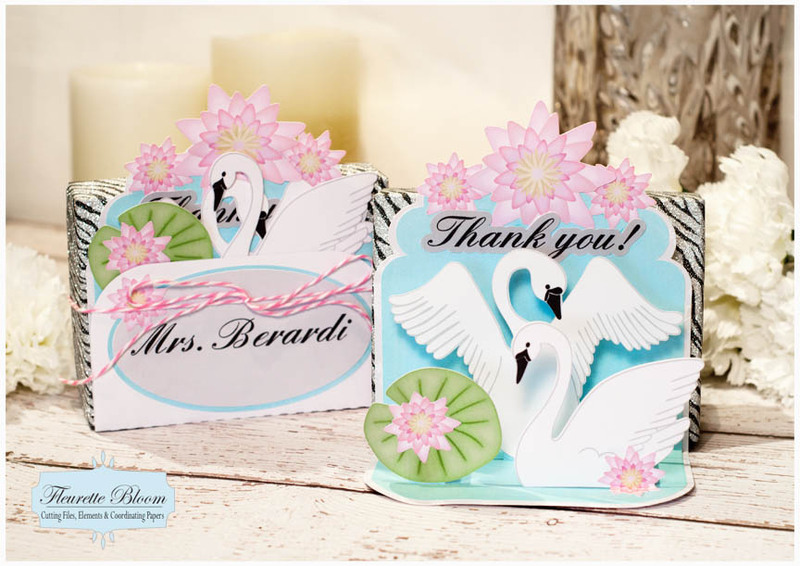 Included in the Swan Lake Element / Card Kit Collection you will also get an additional name plate file – great for place settings, too! All New and Available now! Get yours at Fleurette Bloom‘s Shoppe! I Appreciate Your Visit-Comments and Questions! 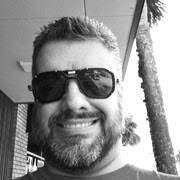 Remember to Stop by Soon to See what I’m up to Next! Welcome Kristin and Cheryl To The Fleurette Bloom Design Team!!! Welcome, Welcome!!! 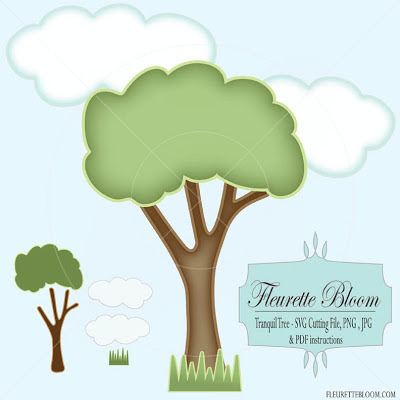 Kristin Courtney and Cheryl Becker to the Fleurette Bloom Design Team!!! We are soooo excited to have them on the team! Such creative talent!!! Two awesome ladies!! We are going to have so much fun!!! Lots of craftiness coming your way! To celebrate we will draw "2" names from the comments and likes on this blog post and the fb page post! 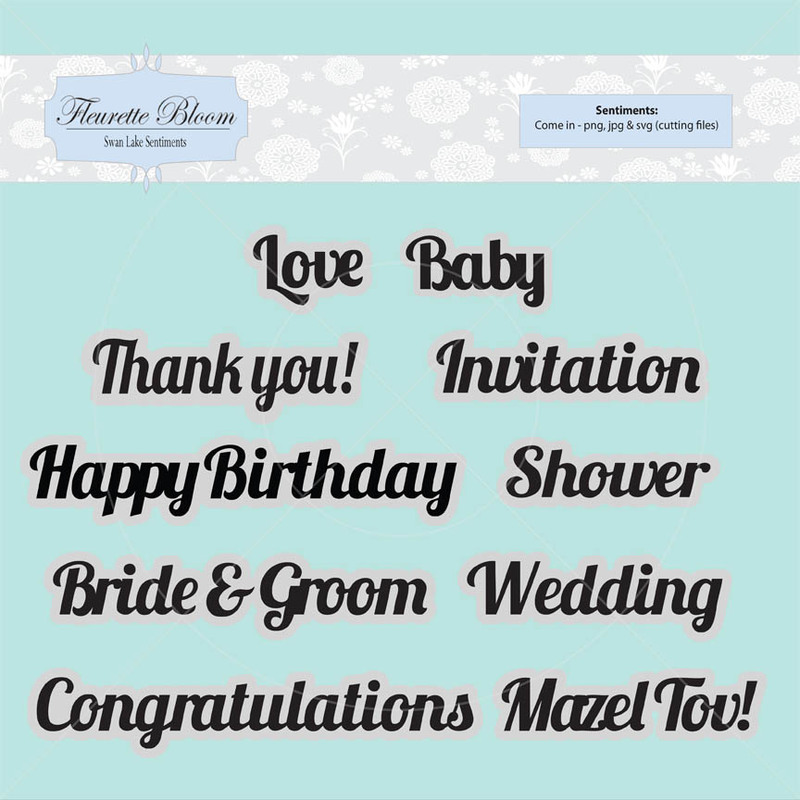 So, congratulate them, welcome them and show them some love! :) "2" Winners will receive the collection of their choice from the Fleurette Bloom Store! 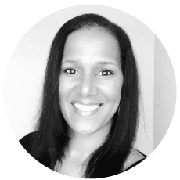 She is so creative with lots of fun ideas to share! 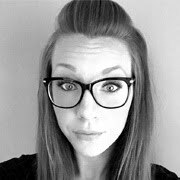 You will love all her creativity and flair! 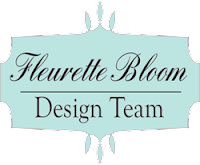 We are so excited to have such Talent on the Fleurette Bloom Design Team! I am so happy to share with you Ilda's 1st Design Team Project!!! 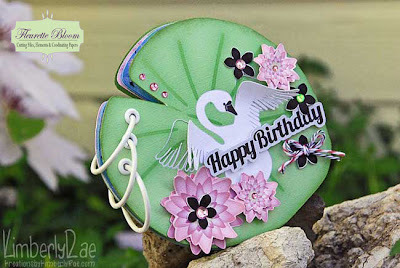 She created this gorgeous and easy to create shape card using the "Swan Lake Element and Paper Collections" She used the Thank You sentiment, but this would also make a fantastic Birthday card or any occasion card, its just so elegant! 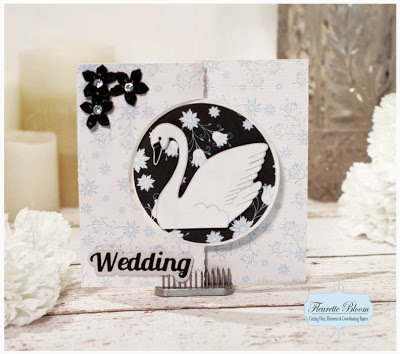 She used the Fleurette Bloom "Swan Lake" SVG cutting files to create the card. I love how she curled the petals of the water lily, it looks so realistic! Ilda used the Water Lily paper from "Swan Lake" for her envelope to make it extra special. Freebie Of The Week!!! "Tranquil Tree" Cutting files (SVG, PNG & JPG) comes with instructional PDF too! Available Now @ http://fleurettebloom.com/. Perfect for creating a sweet little scene on a card, scrapbook page etc. 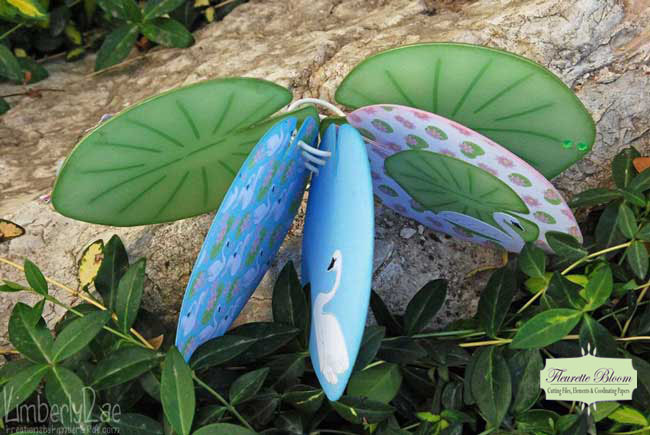 (Works great with the Fleurette "Triple Pop-up card" part of the "Swan Lake" Kit. If you like freebies, "Like" & "Share" This Post with your friends. Happy Crafting! At Checkout it will ring up as Free. 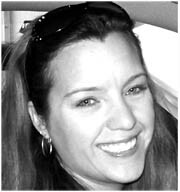 Welcome Ilda To The Fleurette Bloom Design Team!!! Today is an exciting day!!! 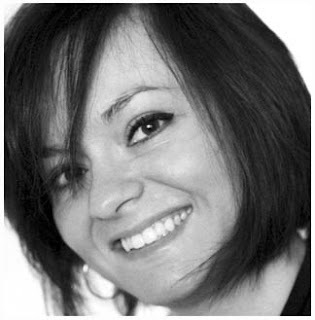 I want to give a big warm welcome to the very talented and creative Ilda !!! Our new Fleurette Bloom Design Team Member!!! To celebrate, let's show Ilda how happy we are that she is here!!! 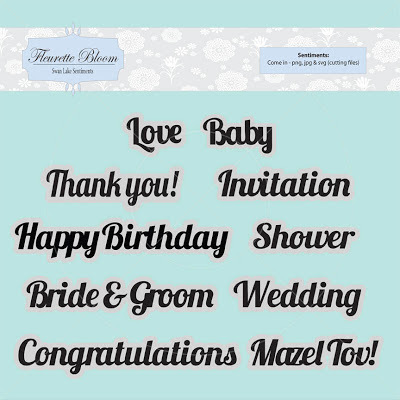 Comment / Congratulate her on this blog post or like / comment on the fb post! We will then select one random person to win the New "Swan Lake" Kit/Collection or collection of choice! 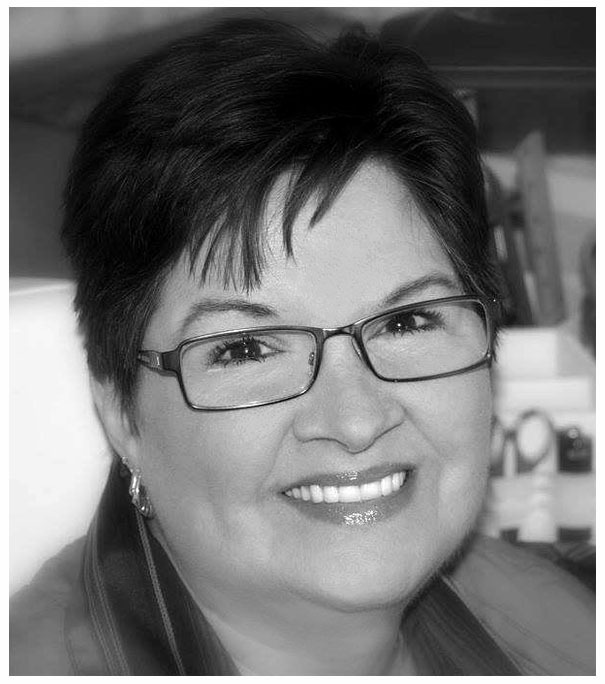 (Winner will be drawn on Monday, May 20th) We are just delighted to have Ilda on our team! To learn more about Ilda visit her blog! 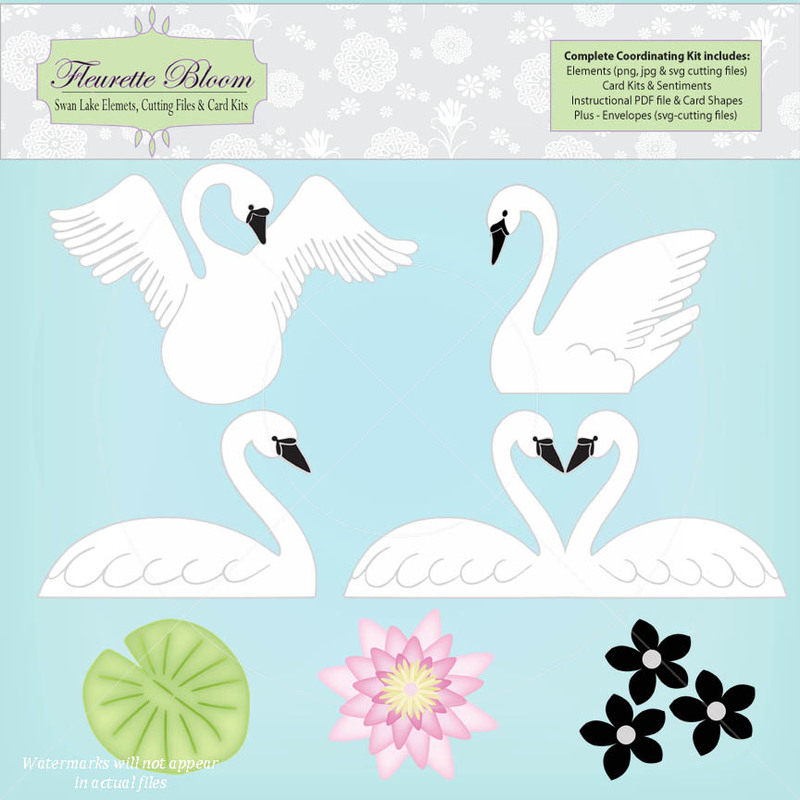 "Swan Lake Element / Card Kit" & The "Swan Lake Coordinating Digital Paper Collection"
Everything you need to create stunning cards, invitations, scrapbook pages, elegant place cards, shower decorations and more. The New Swan Lake Element / Card Kit" has cutting files for the Triple Pop-up card Circle Flip card, Sentiments and Elements all in svg's, png's and Jpg's for for any occasion! Easy to create, comes with instructional PDF too! "Swan Lake Coordinating Paper Collection"
19 Beautiful Coordinating paper, sure to make any project a hit! Comes with 8.5 x 11 and 12 x 12 sizes to work with all printers!